Join us for “Fluid Texts and Critical Archives: Textual Studies in the (Digital) Humanities” on Friday Oct. 14th, 1:00 – 2:45 pm., in E51-095. This session – free and open to the public – will be introduced by Wyn Kelley (MIT), followed by a presentation of recent work by HyperStudio – Digital Humanities at MIT and will conclude with a panel discussion with John Bryant (Hofstra University), Amy Earhart (Texas A&M University), Kurt Fendt (MIT), Laura Mandell (Miami University of Ohio), and Martha Nell Smith (University of Maryland). This session is part of the three-day Melville Electronic Library Camp (MEL Camp) at MIT. This session will focus on the concept of “fluid texts”, introduced by John Bryant in his 2002 book, The Fluid Text. Looking at works as “fluid texts” calls attention to the processes that go into the construction of a text, and how these processes are often interactions between a writer and an editor, an editor and an audience, a writer and an audience, and so on. What tools does the digital age give us to study texts as fluid texts, and to capture the dynamism of these texts? 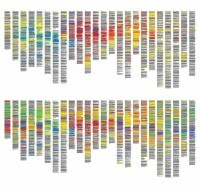 The sketches are part of Jia Zhang’s work on textual visualization and reader interaction as a HyperStudio Research Assistant. “They have 2 main objectives, the first is to map interactions recorded on Frankenstein as students/readers/scholars annotate and explore the text to build thicker layers of context around it. The second goal is to be able to express the text as a whole, an object, relating it back to its book format. The end result of this exercise being to design a navigation which will allow people of different levels of expertise to gather around a particular text and to move with ease between the text itself on many scales and different types of supplemental materials.” Jia Zhang is a Graduate Student in Comparative Media Studies (CMS) at MIT. 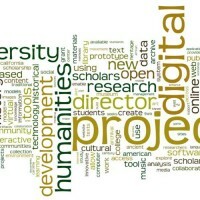 Please join us for an all day Digital Humanities Workshop with Brett Bobley, Director of the Office of Digital Humanities (ODH), National Endowment for the Humanities, jointly held on January 27, 2011 at MIT and Harvard University. 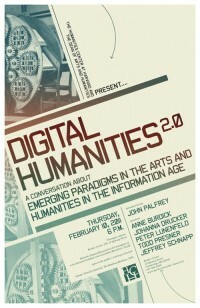 Abstract: Brett Bobley will talk about emerging trends in the digital humanities in the context of NEH-funded projects. He will cover a wide variety of projects that cover numerous disciplines and technological methods. He will also talk a bit about projects that study the impact of technology on scholarship and the academy. Abstract: Brett Bobley, Director of the NEH’s Office of Digital Humanities, will highlight funding opportunities at the NEH for digital projects. He will also discuss and highlight some recently funded projects in a variety of humanities disciplines. He will provide examples of successful grant proposals and discuss grant writing strategies for digital humanities projects. HyperStudio participated in the MIT-Haiti “Best Practices for Reconstruction: Technology-enhanced and Open Education in Haitian Universities” Symposium (October 21-22), which brought Haitian University professors together with MIT faculty, staff and technologists to discuss rebuilding Haiti’s educational infrastructure. Based on HyperStudio’s experience in developing educational projects for language and culture, Executive Director Kurt Fendt shared a presentation describing an approach which would engage Haitian students in building identity awareness, linguistic, cultural, and global skills. Given the linguistic situation in Haiti – 90% of Haitians are native speakers of Kreyòl for whom French, as the official language in education, is inaccessible – these skills would be developed through two core educational components: documenting heritage by working closely with planned oral history projects in Haiti and strengthening cultural awareness by developing cross-cultural curricula and integrating them in a variety of university courses. Read MIT News article “Build Back Better” on the Haiti Symposium. Michel DeGraff’s Op-Ed “Language Barrier” in the Boston Globe, June 16, 2010. 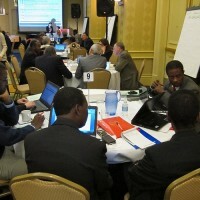 Browse photos of the Haiti Symposium. We wanted to let you know that all the talks and presentations from our spring Visual Interpretations conference are now available to watch online! In addition, all the other conference sessions were documented and you can browse videos of these sessions on TechTV. 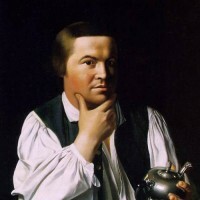 You’re a parishioner at Christ Church in Boston; the year is 1775. Revolution is in the air. Will you side with the tories, the timid, or the true blue patriots? 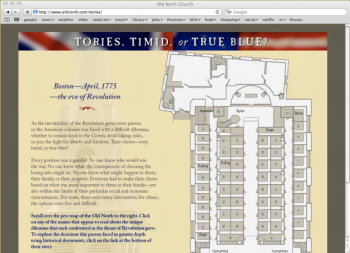 Several years ago, HyperStudio, in partnership with historian Christine Baron, educators Elisabeth Nevins and Laura Northridge at the Old North Foundation, and the web design team at Myriad, Inc., took on the task of designing a web-based platform for exploring this question. Utilizing the Old North Church’s extensive archive, the project invited students to imagine the decision-making processes of historical figures through the primary source records that track their lives. In some cases, an abundance of documentation provides a rich resource, showing how mythologies are formed and shaped across time. In other cases, as with the black families sitting in the church balconies, few written traces of their presence exist, and students are confronted with the question of doing history without an historical record. 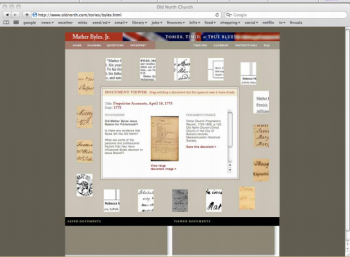 The goal of the project was not simply to provide access to these rich materials, but to guide the website user to, as Sam Wineberg puts it, “think historically,” making use of the materials available to construct historical narratives. HyperStudio stepped in to help transform the incredible wealth of theoretical resources developed by Chris, Elisabeth and Laura — as well as the materials expertly sorted and organized by a team of historians and genealogists — into use-case scenarios or “concepts” that would drive the student user’s experience. The basic design problem is the same one the entire project faces: namely, how to build a flexible, intuitive and fun educational experience from a database of documents which, even visually, would be inaccessible to the average user. We began with the floor design for the church (with the possibility of this becoming a three-dimension rendition in the “dream versions” to come). This links the physical museum site to the virtual space, as well as the families to their individual pews, which would be clickable “hotspots” in the virtual church space. Clicking on the Byles family pew, for instance — showing them to be in the front, and Mather to be at the pulpit — would bring the user to a biography of the family, written in media res, as if the user were assuming the “role” of a member of the Byles family. The bio would conclude with a dilemma inviting the user to think about how he or she would have aligned themselves if they were in the Byles’ position. The dilemma then opens into the central exploration space. In the middle is a central document viewer, which includes a primary source document, basic information about this document, a transcription, and guiding questions. Thumbnails of other related documents would populate the space around this central document viewer. These documents are not arbitrary, but rather called up from a database based on the user’s selections. For instance, if the user is following Line of Questioning A, with subquestions B, then documents “tagged” as related to Line of Questioning A and B would populate the edges of the viewer. Some documents also related to Question A may also be tagged as “Question C”, introducing an element of randomness — of “tripping through the archive,” stumbling upon interesting new things. By tying all documents to a central question map, yet allowing the user freedom to make spontaneous choices within this structure, the website negotiates a flexible, unique learning experience with structured educational goals. We envisioned other ways of visualizing the documents, as well — for instance, a timeline showing both publication date, and the related date of the content. In this way, users could visually identify and distinguish primary source materials from secondary sources, without straying from an overarching “narrative time.” A map also could be used to show how documents are produced in spaces which mark socioeconomic or cultural differences between the families. Family geneaologies, glossaries of terms and an “ask a mentor” feature could help guide users through the archive with more or less freedom, depending on a teacher’s needs. 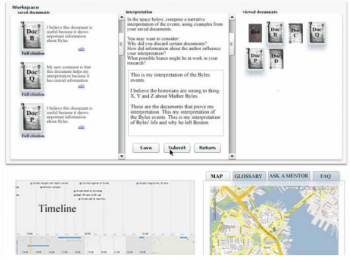 Finally, users were not only encouraged to view, read and explore documents, but to interact with them to construct their own narrative of events. Thus documents could be “saved” by a user and, in the dream version, annotated either publically or privately. 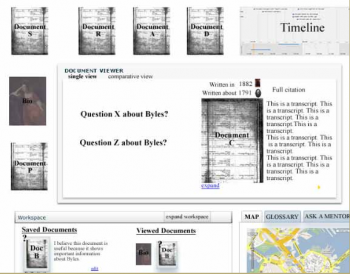 After saving several documents, the user would be taken to a space for creating their own mini-timelines of events — that is, their own unique timeline carved out of the “meta-timeline” — populated with a selection of documents, and augmented with a narrative explaining his or her choices. This user-generated document — an historical narrative, like any other presented in the secondary source documents included in the site — would then be added back into the “pool” of documents to be browsed, shared, commented on, “liked,” and so on, by other users. This social media component generates a community of different individuals, with different interpretations, around a shared set of questions. This first phase of the project, funded by an NEH Digital Humanities Start-up Grant, concluded with a prototype version brought to working reality by Myriad, Inc. The site as-is gives merely a taste of what a fuller, database-driven site could achieve, as the team considers options for future development. 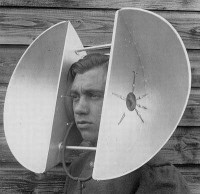 The above comments are based in part on a presentation I gave along with Elisabeth Nevins and Chris Baron at the American Association of Museums’ recent conference, “Technology, Interpretation and Education.” The session archive is available with a log-in. The prototype version of “Tories, Timid or True Blue?” is available here. Digital Humanities is an unusually strong, friendly and supportive scholarly community; but we need to be better at publicly displaying these strengths. Melissa Terras’ keynote, “Present, Not Voting: Digital Humanities in the Panopticon,” was a rousing call for DH scholars to more actively argue for their relevance in the academy, both as a way of securing our discipline’s future and as a way of strengthening the bonds between us. While there’s the danger of “over-disciplining” (I worry about this, perhaps futilely, even as I recognize the value of disciplinary status), developing better presentation methods and stronger arguments for our work can only help us. That being said, digital humanities is still a “big tent.” I had the pleasure of meeting archivists, computer scientists, librarians, embroiderers, literary historians, lab directors, philosophers, linguists — the list goes on and on. And, while the field diversity itself was perhaps not novel to most participants, used to crossing borders, the widespread acceptance of this diversity perhaps was. In fact, most participants I talked with came to and stuck with DH for different reasons. Perhaps more interestingly, I met others in London, outside the conference, who were clearly doing DH work but did not identify with the broader community. It’s difficult to reconcile the pressures of consolidation, articulated by Melissa, and the need to remain open to multiple, even conflicting approaches. 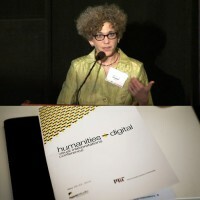 There are many young and/or emergine scholars and students involved in Digital Humanities. Precisely because the sense of community is so strong in DH, it can be difficult for them to break into the pack. As we think about alternative conferencing formats, it’s also worth thinking of ways to welcome newbies to the community — not so much teaching them the ropes (which arguably don’t exist) so much as inviting them to contribute their own ideas, forming new partnerships and spaces for collaboration. Although I was unable to attend, I imagine the pre-conference THATCamp could (and perhaps did) serve this purpose. To the many faces I met, both familiar and new, thanks for the great conversation. I’m looking forward to more in the future! Melissa Terras has posted a draft of her keynote, and a video of it is available here. 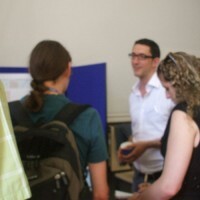 Interviews from DH2010 participants — an excellent record of the event! — are available here. A search for the hashtag “#dh2010″ gives a good sense of the (continuing) conversation.